By midnight Friday night it was evident that water was coming and that it would not stop until it had swallowed up everything in its path. The historic August flooding has now subsided, but the nearly 7 trillion gallons of rain that fell on the weekend of August 12th has left in its wake, not only visible marks on the landscape, but indelible print in the hearts and lives of those that call Southern Louisiana home. In a month that sees a little less than 6 inches of rain on average, a record 31 inches of rain fell in just 15 hours, swelling rivers to flood stage and beyond. One resident was quoted as saying that, "the flood seemed to come out of nowhere." The Tickfaw, just one of many rivers that broke over its banks and into the relatively flat land around it, rose an amazing 20 feet in just 14 hours and some reports seemed to indicate that rivers rose by as much as 50 feet reaching record setting flood stages. The unnamed storm produced three times as much rain as Hurricane Katrina and sadly claimed 13 lives. Official state estimates indicate that as many as 60,000 homes were damaged, but some have placed the number much higher with as many as 110,000 homes impacted statewide. The damage was so widespread, that even after two weeks had passed, thousands remained displaced from their homes, living in shelters, hotels, with family, or friends. The gutted contents of countless homes still lined the streets as residents waited for things to dry out enough for sheetrock, insulation, and flooring to be replaced. Several of the churches on SermonAudio lie in the heart of the area affected and over the past few weeks we have been reaching out to check in on our friends there. What we have heard has both greatly challenged and encouraged us. We are sharing their reports with you in the hope that it will be an encouragement to pray for and help them. Please take a moment to read the reports from a few of our broadcasters below and join with us in supporting them as they seek to recover from this disaster. "The Lord has been more gracious than we ever expected in this time of flooding. Brothers have come to our aid practically, spiritually and emotionally. People have donated time, labor, resources, finances, and encouragement. When we gathered on Sunday those who had not been impacted directly by the flooding were weeping for those who were impacted. They were weeping for the hurting and for the fact they couldn’t offer more help. Those who had suffered great loss were rejoicing in the goodness of God. It was a surreal scene. We have had eight or nine families who have been displaced. Our home has two or three feet of water in it. We lost two cars. But we are rejoicing that Christian brothers have come and offered manpower, practical help and financial assistance. We recognize that the Lord is in all of this. We just need wisdom to take one step at a time. We find ourselves in an orchestrated and coordinated free fall but we are learning to respond in worship. Our biggest need is really prayer. We want to see God use this disaster for big purposes! Editor's note: This church has set up a gofundme page here. "We are not in the flooded region, however, one of our staff members has close family members who personally, along with their church, have experienced significant upheaval and loss. Today we sent a group of faculty, staff and students from our Christian school to help this family whose home and church building have been flooded. We need your prayers as we are seeking supplies and money to help those in desperate need. This disaster occurred so suddenly. It was a total surprise. There was no warning at all—unlike Hurricane Katrina and other storms we have been through. We appreciate your care, concern, and prayers." "Our church building was fine but one of our dorms at our conference center suffered extensive damage. 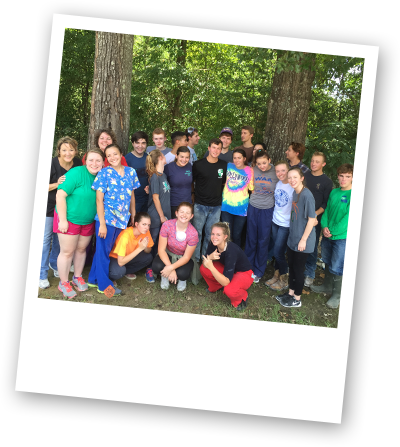 We are housing people in our dormitories who houses have been flooded as well as allowing our dorms to be used by FEMA, Americorp, and Salvation Army disaster assistance workers." 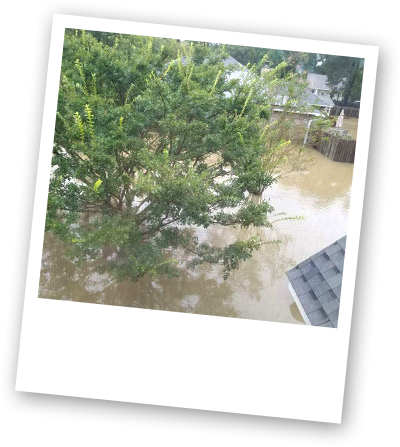 "Although there was massive flooding in our [Pastor Leblanc's] neighborhood, our home was one that protected by flooding. Some homes around us had 6-8 feet of water. We also praise God that our church building sustained no flood damage. Out of 70 members, only about four or five did not get flooded. Our community is surrounded on three sides by water. The river that runs by our house rose to over thirty four feet. Its historic high previously had been twenty feet. In some places east of us rivers rose to 56 feet. Nearly all the residents of our area got flooded. 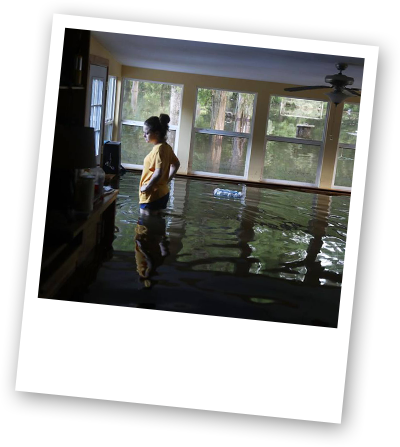 Lots of homeowners had no flood insurance because they were not in the flood zone. Many homes have been completely destroyed. They estimate that 40,000 homes were impacted in our area and most of these homes have to be completely gutted. If water touched something it has to be thrown out or torn out because the water was toxic including sheetrock and furniture. Most everything around us shut down for a whole week and people worked 14 hours a day just cleaning out houses. I was at an elderly man’s house today removing everything the man has ever owned from his house and throwing it out. The majority of these people might get some monies from FEMA but most will get pennies on the dollar. We are doing everything we can to provide physical labor and are receiving donations to help the needy. It is going to be about 45-60 days before the houses dry out enough to go and start any renovations possible. At that point we are going to need lots of sheetrock donations and crews of volunteers to hang it. We have to figure out how to get sheetrock here and store it because it will be sold out quickly. The good news is that I have never seen a community more united and more ready to help each other. Income and race don’t matter in this tragedy. What a vast change from just a few weeks ago when we had an incredible level of racial tension. We have had two wild extremes in just two weeks—from incredible disunity and tearing apart to unbelievable harmony and a coming together. In God’s sweet providence I started a series in 2 Corinthians 1 the week before the disaster about how God comforts us in our suffering. We didn’t meet the next week because of the flooding. However, we met this past Sunday and looked at how suffering drives us to a greater trust in God and less reliance on ourselves. God’s timing for the study of His Word could not have been more perfect. We are setting up an account that we are calling CBC Benevolence. Any gift you send will go 100% to helping people in great need. "Our church building was fine and almost all our members are fine. One of our members lost their trailer home. Sadly, both sets of parents of that member also lost their homes. We have lots of members who have family members who suffered great loss. Our church is cooking for local shelters and helping in others. This is such a widespread disaster. We are distributing meals in low income areas. Back when Katrina hit, our church helped a little Baptist church that was in the poorest areas in all of Louisiana. That little church became so effective in receiving and distributing funds and helping people recover and rebuild that FEMA left town and said, "You are doing a better job than we could." We helped rebuild that church over the last ten years. Every year we had people come from all over the country for a few weeks in January and do intensive labor in that area. January 2016 was the first year in a decade where that was not necessary. But this disaster is more diverse and more widespread than even Katrina. If anyone wants to help those in need and trust that the funds will be used properly, they can send contributions to Flood Relief FBC of Clinton, LA. 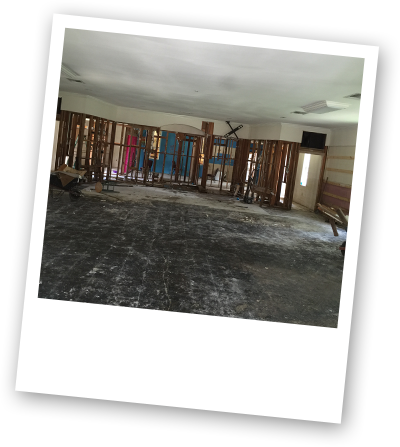 We processed over $400,000 in relief for Katrina"
"Although our church building incurred no loss due to flooding, several of our church members’ homes were impacted. There is a large need for prayer. We will need lots of people who can clean out houses, install flooring and can help with sheetrock. We are preparing meals in our facility for affected families and also providing hot meals for families who come in at night to our church. This is a massive disaster. Over 50,000 homes in our area were flooded and the estimate is that nearly 200,000 homes were lost in the region. We would value any assistance in making sure Christians are aware of the extent of our need because it is not getting out in the media." "None of the staff at Radio Missions was affected personally by the flood but my 85-year-old bedridden wife and I [Pastor Pendarvis] had to be rescued by boat at 2:30AM during the flooding, Our two children and their spouses’ homes also suffered extensive damage to their home and belongings. The water was up to the ceiling in our daughters’ home. Her home will be likely condemned. Thankfully, our church building and a parsonage we had built on the property suffered no damage, so all of our family are able to stay there until we decide what to do next. The flood damage is really too much to behold. It covers a 20-parish (county) area. There’s just devastation everywhere and many like myself had no flood insurance. This is the first time in my 86 years of life I have seen this kind of water damage (and we lived through Katrina). There is trash on the side of the road for miles and miles. It will take 2-3 months just to haul the trash away. Please join with us in praying for these brothers and sisters in need. If you desire to contribute or to volunteer please contact the churches directly as they will be much better able to direct you to the best way to help. I serve on the Board of Directors of Wall of Grace, which is a Helps Ministry. We have been in contact with at least 7 of these Pastors in the flooded area and made financial contributions toward their needs. Thanks for posting this and calling attention to our Fellow-Believers in that catastrophic situation. Thanks, SermonAudio, for posting these stories so we can pray more specifically for our brothers and sisters. May the Lord provide...starting with Himself...in their lives.